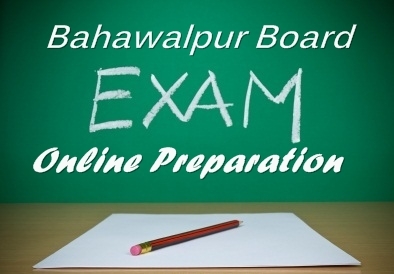 The annual examination of 9th and 10th class are scheduled to be held in the month of March under the supervision of BISE Bahawalpur Board within the areas that come under its jurisdiction. So in order to help our visitors in preparing for the annual matric examination 2018 in the best possible way, here we have provided BISE Bahawalpur Board matric 9th and 10th class annual examination model papers, solved past papers with guess sample papers for both Science and Arts group. Formed in 1998, the Board of Intermediate and Secondary Education (BISE), Bahawalpur is responsible for handling the educational matters of areas that come under its jurisdiction which are Bahawalpur district, Rahim Yar Khan district and Bahawalnagar district. BISE Bahawalpur Board is one of the total 9 boards currently operating in the province of Punjab and just like all other boards, Bahawalpur board is also going to organize the matric 9th and 10th class examination in the month of March which is going to be attempted by thousands of students just like previous years. In order to pass the annual matric examination with good marks, students prefer to prepare different model papers, past papers and guess papers. These papers give students a clear idea about what kind of questions can be asked in the actual examination and how to attempt these questions in the best possible way. But to get these sample and guess papers, students often have to pay a quite high amount of money which is not affordable for many students. By keeping this problem in mind, Gotest.pk has provided you all these past papers, model papers and guess papers free of cost through its website. You can download these papers through just one click without any trouble. Along with this, you can also attempt chapter wise online tests of all 9th and 10th class subjects. As the examinations are going to start after a few days so we strongly suggest that you attempt these online tests as they will help you in evaluating your preparations for the actual matric annual examination 2018.